A newly issued circular by the Ministry of Education for year one admissions for year 2017, prohibits members of the Past Pupils Associations of government schools from sitting as panelists’ for the interviews and intake of new students. With barely weeks away from scheduled interviews being held, the Education Ministry published a circular bearing number 17/2016 and dated 16.05.2016, pertaining to the year 01 admission process of state schools. This move prevents the representation of members of Past Pupils Associations especially where children are interviewed for categories such as is Chief Occupant’s Category, Brother’s Category, Transfer Category, Education Category and International Category interviews. The issuance of this circular however will still continue to permit Past Pupils Association members to sit in as interview panelists for the category where the “Past Pupils’ children” are only being interviewed. 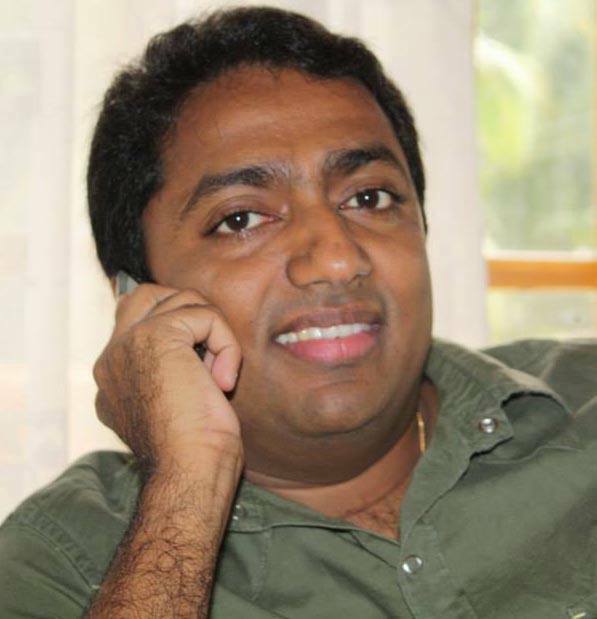 Mahinda Fernando an old boy of a government boy’s school from Colombo speaking to Colombo Telegraph said “75% of the entire year 01 intake to a state school materializes through these five categories that we are not permitted now to sit in as panelists. Over 50% of interviews alone is through the ‘Chief Occupants’ category and it is common knowledge that most of the corruption happens there. Now by having us out it paves the way for Education Ministry officials and also the Principals of government schools to recruit whom they wish”. Lately, Prime Minister Ranil Wikremesinghe has been vocal in promoting the empowerment and engagement of Past Pupils’ Associations especially of government schools for their support in managing and administering school affairs. Premier Wickremesinghe also acknowledged this all important stakeholder group as one that should be given greater responsibility and authority in running the affairs of their respective schools where it lessens the burden on the state. The Premier’s sentiments resonates widespread acknowledgement of the incomparable contributions the past pupils’ communities make towards the development of respective schools and also of the deep love for their old schools. Minister of Education, Akila Viraj Kariyawasam has also echoed similar sentiments on many instances recently. However the bureaucratic assemblage at the Ministry of Education has now ensured that the past pupils are further distanced from their schools through the issuance of this circular. Fernando went on to further state “ The authorities have not provided any reasons nor any justification for this change. After all, this has been a practice that has had no ill effects over the past decades. Then why do they want it changed now? What is the disadvantage of having us present at the interviews? In the absence of any justification, it is natural for one to conclude that there may be hidden motives and agendas for this change to suddenly take place. In this particular instance a bizarre change of a single clause in the circular, changes a practice that has been in existence for over the past twenty five years. Three key additional secretaries of the of the Ministry of Education, Hemantha Premathilake (former Nalanda College Principal), Senani Hewage (former D S Senananayake Principal) and Illangasinghe (former Isipathana Principal) are members of Minister Kariyawasam’s advisory panel. The incumbent Principal of Ananda College, Kithsiri Liyanagama and present Royal College Principal, B. A. Abeyaratna, were also two vociferous advocates for the exclusion of old boys from the interview panels. Ironically Liyanagama was recently in the news, accused of admission related financial misdemeanors and Abeyaratna was interdicted on charges of forging documents in school admissions. He was subsequently acquitted due to technicalities in the legal process ”. Another bomb shell from yahapalanaya education minister. It is common knowledge that almost all principals and senior teachers make money on admissions. Imagine a Visakha, Ananda College or Royal Principal living on a salary less than Rs 50,000 per month? They don’t even get an official car from the school!!! It is common knowledge that some high profile school admissions are possible around Rs 500,000 to Rs 1 m.. Look at some of the addresses around these schools and you would realize that almost every year there are kids getting admitted to these schools. Some of the senior teachers facilitate this process. Old boys and girls are fully aware of this and none of them want to rock the boat. My son had only 40 kids in his grade one class and by the time he was in grade 3 there were almost 48 kids in his class. That is an increase of 8 kids per class and there were 6- 7 classes in his grade resulting in an increase of over 50 students admitted subsequently. That is a lot of money changing hands!!! The process is corrupt to the core. This minister should be assigned to notorious Kuliyapitya PS. Truly unfit to run Sri Lanka’s education. Maybe they should get Thevarapperuma to sit on all school panels. I think this is the right decision! OBA members are known to do underhand deals to get their kids admitted using the connections. I know some people join OBAs just to admit their kids. The whole process needs to be made transparent, and must be evaluated by an independent body every year! Nobody should be given preferential treatments on admissions, including the doctors! Mr.Education Minister by your decision to cut off the OBA/OGA from the admission panel of Grade 1 students you are making a grave mistake. Many of the schools enjoy Lab facilities,Sport facilities,Gyms,Vocational Training Centres sponsored by the Old Boys or Old Girls of the school.This is a way these folks repay a gratitude to their Alma Mater where they spent most of their childhood even longer hours than time spent at home. For example the Royal College Sports Complex was donated by Brandix and the New Gym by MAS. By your decision of eliminationg their presence on the panel you are isolating them from the school and as a result the hundreds of children who are benefiting and will benefit are being deprived. The Government is cash strapped as we all know one reason the abuse of State funds by the previous regime and are not in a position to provide measures of extra curricular activities for the schools and this is where the OBA/OGA come in to play and take off a heavy burden from the State Funds.Whatever the State Funds that are remaining after the Govt allocation, due to the good gestures by the Past Pupils of popular schools, now could otherwise be utilised to uplift the facilities lacking in the rural schools. So my humble advice is not to remove the Past Pupils from the admission panels because by isolating them the rural schools will suffer as the Govt is obliged to take the place of providing facilities for extra curricular activities for ALL the schools as the budget allocation for education will then have to be spread out. Education Minisrty makes no allocation for capital infrastructure. Even recurring costs are not fully covered. Visakha Vidyalaya and Ananda has 300 teachers each and only salaries of teachers are paid by the school. Electricity, water, security, janitorial, all sports coaches fees, sports equipment and new infrastructure is paid for by school kids and by old girls and boys groups. All improvements including the school hall at V V is done by the old girls association. Minister has no clue as to how schools are run. Royal old boys have donated approx Rs 1 billion over the last decade to the school via the sports complex, indoor arena, class rooms and hostel etc. The corrupt system can be made more corrupt by the decision of the Minister. Imagine a Colombo school principal living on a salary of less than Rs 50,000 per month with no tuition fees and other income!!! The only income is during school admissions and looks like the Minister is supporting this. This is no different to giving Rs 25 million worth car permits to Govt officials and MPs and asking them to sell them in the open market. This is our beloved country.!! What is the point setting there if old boys can’t stop corrupt practice in the admission ??? or are there part of it??? Typical stupid move to please a official. But you don’t throw the baby with the bath water. What’s the true intention of the officials to distance past pupils from the schools? I guess that the privilege past pupils enjoy is an obstacle for majority government officials to find a popular school for their children as they come from village schools and they aren’t living close proximity to popular schools. So removing/minimizing that obstacle may be their main concern. However I’m sure that good citizens are in favor of distancing past pupils from their schools because state schools are public property so privileging a selected group to enjoy more access is a discrimination for others. There should be only one way to select children for grade 1, and that should be the distance to the school. School at walking distance for the kids would be the best gift as they’ll have time to play, time to sleep, time to be with loved ones etc. Yours excellency please do that revolution. There’s a disgusting corrupt practice of our Grama Niladharis ( village officers) regarding this matter. They prepare and/or help to prepare bogus documents to prove residence for corrupt minded parents and take handsome bribes and what’s unbelievable is sometimes the real residents have no knowledge that their address has been sold and bogus utility bills have been prepared for their address. allow grand parents place as it’s homey for kids and if caring brothers/sisters homes. That’s how good governance should work. SR…..you said it! I liked the statement on gramasevakas or niladharis or village officers. They are gamayas but truly corrupt to the highest order. 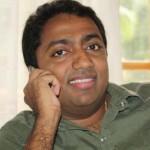 Wonder whether Akila has has sent his colleague Thevere to Angoda or Singapore ?.. Hold on guys, as everybody know well that money is solicited to the school only through the instigation by the members of OBA/OGA. Bcoz I have personally gone through this process twice in my life. All sort of formal interviews are done by the officials or the senior teachers of the school. These officials or the senior teacher are spot clean like new pan. Then comes the crunch, after the sort listing, the indirect persuation starts by a group of Past pupils (PP’s). The modes operandi is, your duaghter/son is going to be in this school for so many years, and we need to complete this project fast and so on. which in turn benefit your childs education. When a child has come to a final stage of selection process, almost all the parents start bargaining comfortably with this PP’s and arrive at a sum. Ultimately the sum arrived at fiters through different channels. Infact a part goes to the school and most part goes somewhere nobody know. Usually a receipt is issued by the PPA account. Even the Parents who could afford this are not bothered because of their child’s entry in to the school is positive. So the Edu Ministry side lining the PP’s is with a valid reason. Either way if the OLD BOYS dont make money now the Education Ministry guys will do so. Either way the we are jacked. All they do is play emotional games with the parents through their kids. We are all under a cursed spell as a nation that’s all I can say. If it is not a natural disaster, it will be a civil war. When will we ever be able to live in a clean environment???? What do you expect. This is the Minister who did not know what HIV is. A good move by education minister, most of the corruption starts with this bunch of people in new admission process. Very clear Minister wanted Principals to collect money & give his share. Already so many back door admissions to Royal College. No wonder when appointed person who worked for Kuliyapitiya elections camphene. How the hell did this chap ever become an Education Minister. If he had an iota of common sense, he should let this admission process be the way it is. He and his ministry should concentrate on getting the education system into order. Our SL curriculum is a mess. Some subjects are obsolete yet they are taught. Wonder, who is gonna sponsor, Sports Teams and Sports Facilities for these schools from now on. Additionally, most OBA/OGA’s contribute financially towards the school for various activities Co/Extra Curricular events by having certain fund raisers every now and then. Yoosuf’s assertion may be correct in some instances but totally incorrect in most instances. If such incidences have occurred they have to be inquired and duly dealt with according to legal provisions. Further, Yoosuf could be a parent who was subjected to such canvassing for funds by the SDS that exist in state schools, which may at times consist of some past pupils who are also parents, but does not represent the past pupils community. Yoosuf also has conveniently forgotten the fact that no PP or a SDS could raise funds without the concurrence of the respective principal/official who heads the institution. FYI, it is only the principal of any state school who could seek permission from the Edu Min to raise funds for the school, and could authorise the PP or SDS to proceed. So IF the PP’s/SDS are collecting funds, that means Yoosuf’s ‘SPOT CLEAN’ officials are also part of the plot!!! All this does not mean that removing the only independent panelist from the panel does not solve the problem (rest of the panelist are all from within the school), but will only provide greater space for those already corrupt principals to make merry. If Yoosuf’s attempt to validate Edu Ministry decision to exclude PP’s, based on allegations of fund raising for projects, then how come countless number principals who have been accused of corruption sit at the panel???? Not so sure how Mr (Ms) Yoosuf so confidently concluded “THESE OFFICIALS OR THE SENIOR TEACHER ARE SPOT CLEAN”. Wonder is Yoosuf himself/herself is one of them???. Despite Yoosuf’s cleansing of the officials, all available evidence and whats common public knowledge is quite in contrast to the PURE AND UNTAINTED picture of the principals’ and officials’. It is widely accepted that they are a corrupt and a fraudulent lot. Amongst a majority of such officials, there could be a few of those who are clean too. This comment by any means is not to say, if corrupt practices by PP’s exist, to tolerate them. No doubt they should be appropriately dealt with. But it is not right to kick an important stakeholder group of the school community that contributes to its development, out of an interview panel in order to create more space for all the under paid officials get attractive financial compensation through the year 1 school admission process. In most instances if not for all, the PP’s are the watchdogs and thats why the officials want them out. Having read the above article as well as the comments, my two cents, is that the existing system should not be done away with. It appears in order to keep it going as the loss would be far greater than the gain if it is done away with. IF there is suspicion on the OBA’s, PPA’s on the panel, a system by which this issue is brought to the notice of the rest of the panel should be implemented with appropriate safeguards/time frames, to ensure that there is no retribution/vindictiveness to either of the parties, and a solution found to the issue. Obviously there will be shortcomings/ difficulties in implementing a foolproof system, but then, you would have a better system than the one contemplated by eliminating the OBA’S/ and the PPA panelist from the selection panel. Saner counsel has prevailed. The Edu Min has released a media statement just now, reversing their decision and reverting back to the original clause in the previous circular, enabling the PP representative to be a panelist of the interview board at interviews of all admission categories. Thank you Colombo Telegraph for your exposure and story. That may have helped heaps. Mr.Prime Minister please intervene and get your Minister of Education to reverse this decision.The OBA?OGA will wash their hands off the schools involved and the students will suffer as the Education Ministry has no funds to allocate for extra curricullar activities in the school.There have been many efforts in the past to sideline the OBA/OGA so that the Ministry officials can have a free ride and your Minister now is also making such a wrong move.Mr.Prime Minister you are aware in your old school Royal many of the additional developments has been by the OBA, The Sports Complex,Gym,Computer Labs etc has become realities because of the generous intervention by the OBA and thousands of students have got benefit.You know the pittance that the Education Ministry allocates for the schools like Royal.Visakha.Ananda and if not for the concern the OBA/OGA had for such schools it would have been a disaster Education wise and otherwise. As far as I know the old boys associations should have their school principal as the president of the OBA. If this is not the case all OBAs are not legal bodies to sit as panelists at the interviews held to select children.